WASHINGTON (AP) - The Defense Department said Thursday that the Veterans Day military parade ordered up by President Donald Trump won't happen in 2018. The Pentagon chief told reporters traveling with him to Bogota, Colombia, that whoever leaked the number to the press was "probably smoking something that is legal in my state but not in most" - a reference to his home state of Washington, where marijuana use is legal. He added: "I'm not dignifying that number ($92 million) with a reply. I would discount that, and anybody who said (that number), I'll almost guarantee you one thing: They probably said, 'I need to stay anonymous.' No kidding, because you look like an idiot. And No. 2, whoever wrote it needs to get better sources. I'll just leave it at that." The parade's cost, which was confirmed by multiple officials, has become a politically charged issue, particularly after the Pentagon canceled a major military exercise planned for August with South Korea, in the wake of Trump's summit with North Korean leader Kim Jong Un. Trump said the drills were provocative and that dumping them would save the U.S. "a tremendous amount of money." The Pentagon later said the Korea drills would have cost $14 million. 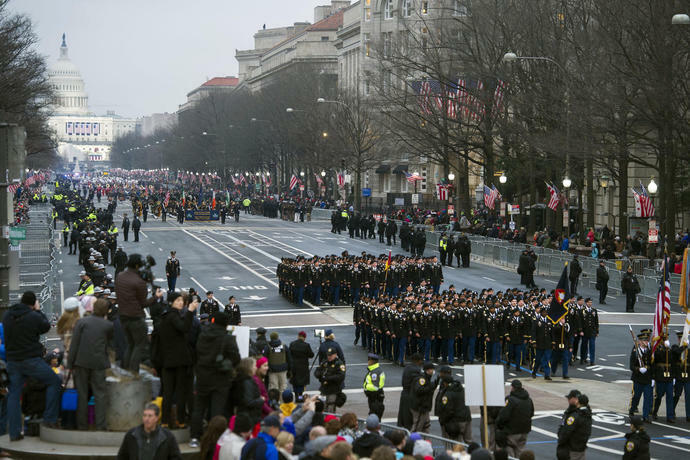 The parade was expected to include troops from all five armed services - the Army, Navy, Air Force, Marine Corps and Coast Guard - as well as units in period uniforms representing earlier times in the nation's history. It also was expected to involve a number of military aircraft flyovers. A Pentagon planning memo released in March said the parade would feature a "heavy air component," likely including older, vintage aircraft. It also said there would be "wheeled vehicles only, no tanks - consideration must be given to minimize damage to local infrastructure." Big, heavy tanks could tear up streets in the District of Columbia. One veterans group weighed in Thursday against the parade. "The American Legion appreciates that our President wants to show in a dramatic fashion our nation's support for our troops," National Commander Denise Rohan said. However, she added, "we think the parade money would be better spent fully funding the Department of Veteran Affairs and giving our troops and their families the best care possible."